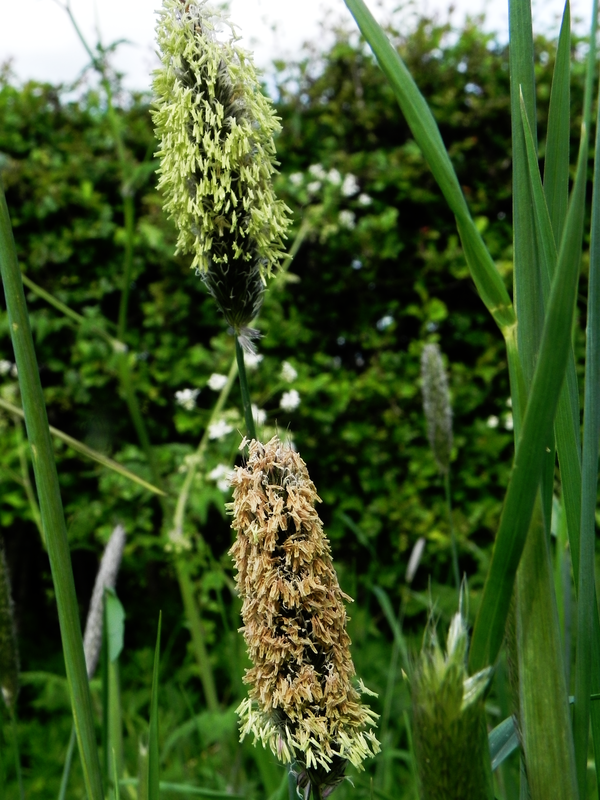 I know we’ve chatted about the Meadow Foxtail fairly recently, but I wanted you to see them now that they are coming into bloom. As you can see they come in a range of colours and the lower of the two in the picture is starting to show the tinges of red that gives it its name. I will probably take more picture of their colour change, as they become fertilised and age. The reason for this sudden preoccupation with the grass on the side of the road is straightforward, pretty soon now the man who can will be round with his mower and the verge plants will disappear all in a days work. Already the narrowness of the lanes around here is becoming exaggerated by the growth on the verges and it can’t be long now until someone, concerned with safety, will decide that a quick cut is needed to restore visibility. The Dog, being vertically challenged, finds the newly trimmed verges much more interesting. She is happy enough to push her way through the shoulder (on her) high undergrowth close to the road but a good trim opens up new vistas and extends the scenic aromas. I don’t mind that much either. Cutting back the burgeoning dandelions and rose bay willow-herb gives the shorter plants a little light and within a few days our verges are speckled with new and different residents, who are all busy making hay while there is a little sunshine.